As much as possible, I don’t bring large amounts of cash when I go out especially when am just commuting. I prefer paying using my ATM card, my credit card, or my Visa Debit card. Since I don’t want to be drowned in debt, I seldom use my credit card. In fact, I only charge if there’s an item on 0% installment or when I’m obliged to spend a certain amount to have my annual fees waived. I do use my ATM card for purchases but not all establishments accept ATM payments. This is where my Visa Debit card comes in handy. Like a Visa credit card, a Visa Debit card also lets you enjoy cashless shopping. The only difference is that the amount you are paying is automatically deducted from the bank account where the debit card is linked. Credit cards employ the “buy now, pay later” scheme which is, in short, plain and simple debt. Debit cards help impose discipline in spending by having the cardholder spend only what his account can afford. And because a Visa Debit card is linked to a savings/checking account, it can also function as any ATM card would. 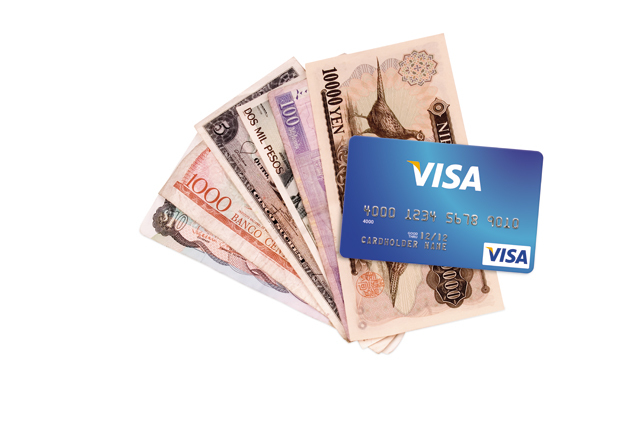 Visa Debit cards can be used to withdraw money in any currency from ATMs around the world having the Visa logo. I have an EON Visa debit card which is linked to my PayPal account. I basically receive all payments from my online clients through PayPal and I withdraw my funds using my EON Visa Debit card in any ATM machine in the country. Of course, bank withdrawal charges apply depending on the machine I used. Know how much money your account has before using your debit card. Remember, that the amount will be deducted immediately from your account. Always keep the receipt as reference. Since there will be no monthly billing statements coming in, you’ll have limited resources in keeping track of what you’re spending. Or better yet, if your bank has online banking facilities, sign up for an online account so you can view your debit card transactions anytime, anywhere. Contact the bank ASAP for any errors during your purchase. Do you have a Visa Debit card? How has it helped you in paying for purchases?